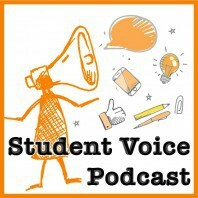 This episode features Dr. Bill Preble, a longtime student voice advocate, author and more. Dr. Bill Preble has worked on youth voice issues for over 30 years as a teacher, program developer, researcher, and author. He created Project S.A.M.E. a US-Soviet Youth Exchange that brought students from the US and USSR together to advocate for peace; founded Students Concerned about Bias in Society (SCABS) who fought for implementation of Title IX in Maine schools; directed the University of Maine Aspirations Project and launched 35 statewide student leadership teams to bring students’ voices to educational reform; conducted program evaluation research on the effects of the Maine Civil Rights Teams Project whose 50 student teams fought against bigotry and intolerance in Maine communities; founded the Center for School Climate and Learning and worked in hundreds of schools supporting students, teachers and administrators to bring youth voice to school reform in the US; co-authored two books, The Respectful School, and Transforming School Climate and Learning to share what I have learned.